The holidays have always been a time for me to reflect on the past year and make plans for the new year. 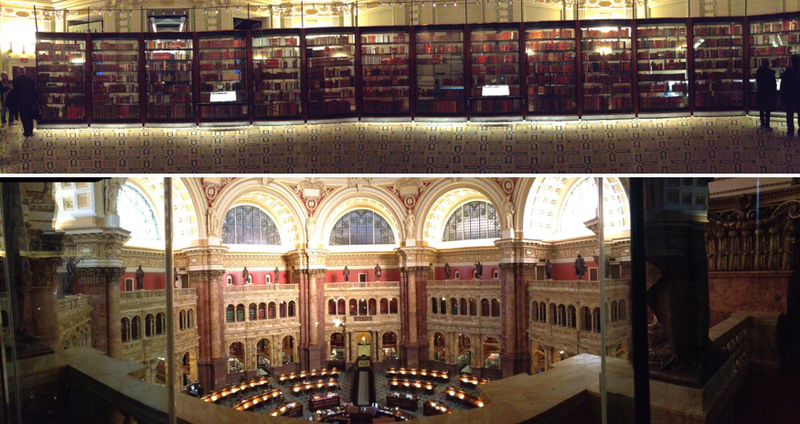 One of the events in 2014 that inspired me to challenge myself reading more books was my visit of the Library of Congress in Washington DC. I was in awe. 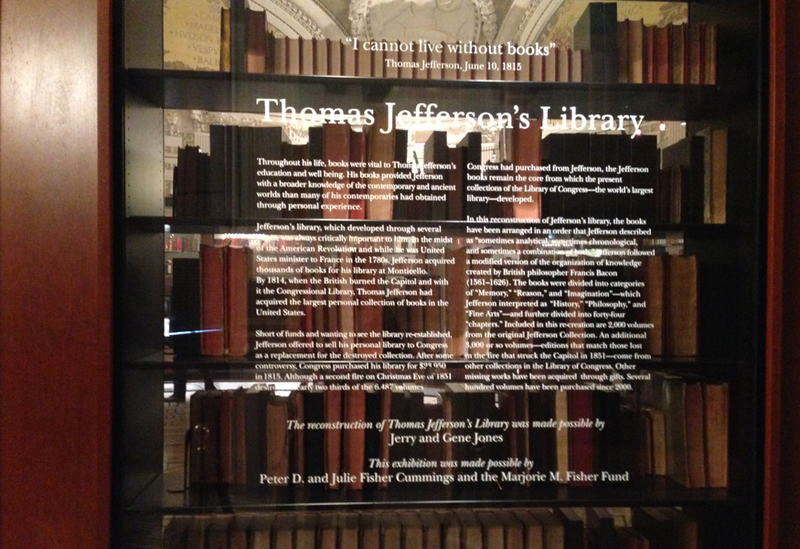 There was an exhibition recreating Thomas Jefferson's personal library in which there was approximately 5000 books. It was fascinating and inspiring to see all the subject matters that interested him and it reminded me of what got me started reading again. A couple years ago, I saw a video from Bob Proctor who said something that resonated with me. He was talking about how people should read books to learn more about themselves and have a personal library catered to their interests. "Why didn't I think about this before?" I thought, "I've been avoiding books since I started college, I could have been reading interesting things instead." I had been avoiding books like a plague, I guess because they reminded me of the painfully boring engineering books I didn't even have time to fully appreciate since the goal was to cram as much info into my brain as fast as possible for the exams and then move on to the next books. I was finally realizing that there was another way. So I eased into "reading" useful book by listening to audiobooks suggested by various people who's opinion and/or success I respect. As I started benefiting from listening to audiobooks, I also started reading more books and pay attention to book suggestions from Joe Rogan (The War of Art), Jay-Z (The Seat of the Soul), Will Smith (The Alchemist), Jada Pinket (Aspire), and more. 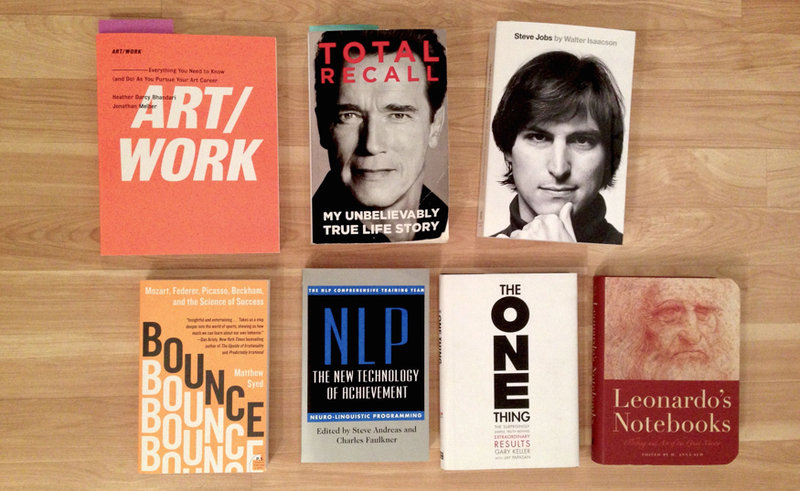 In 2014, I gave myself the challenge to read at least 12 books (shown below) over the year. I'm happy to say that I have reached my 2014 goal. For me, 2014 was the year of rediscovering books and their benefits, which led me to the discovery of book lists from podcasters such as James Altucher, Tim Ferris, and Tai Lopez. So for 2015 I'm challenging myself to read at least 24 books. I even joined Goodreads to keep track of my progress. I am currently reading one of the biggest books I've read so far (646-pages Total Recall by Arnold Schwarzenegger) which gave me a new found appreciation for biographies and opened up a whole new understanding of the world around me. If you're not reading any good books, I strongly suggest you to reconsider because from what I've learned so far, you'd be missing out. Marie, Your blog is very inspiring. I have a great admiration of books and readers. You have made me think about adding to my reading list. Thank you Sheila. That's awesome! What books are you planning to add to your list?